The USGS has announced that the Big Sur River Gauge will be shut down on October 31, unless funding is somehow located to keep it in operation. This gauge is currently funded by the Monterey County Water Resources Agency, but that agency notified the USGS on September 23 that they would not provide funding for the 2015 water year (which begins November 1). This is a blow to the many agencies and individuals who make use of the data the Big Sur River Gauge provides, but will be particularly disappointing to those who live near the river and use the gauge to reassure themselves on rainy nights that flooding is not imminent. The gauge’s value to the community is still greater, of course, when it provides early warning to residents and first responders that flooding IS indeed at hand. The Big Sur River Gauge is particularly useful as an indication of things to come on rivers like the Carmel, Arroyo Seco and Nacimiento. 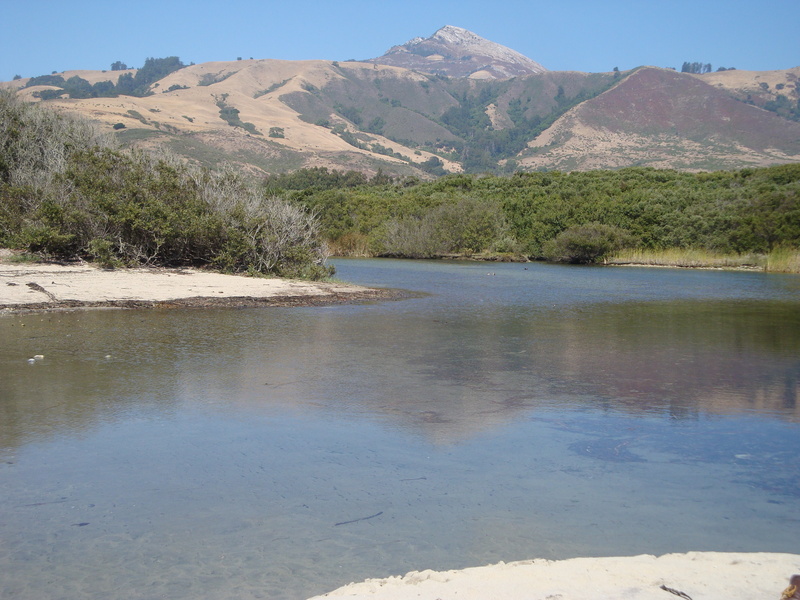 Because the Big Sur River is shorter and smaller than these other streams, it reacts more quickly to rain. A sudden significant increase in flow on the Big Sur usually means the bigger streams will soon be doing the same, giving those in harm’s way extra time to prepare. While, at this point, we can only dream about a rainy season with enough rain to make people nervous about flooding, should normal or better rains arrive over the next few months, this gauge will certainly be sorely missed. The USGS is asking that anyone with information on potential funding sources immediately contact Anthony Guerriero, Field Office Chief, Santa Cruz Field Office, at aguerrie@usgs.gov. This entry was posted on Wednesday, October 8th, 2014 at 6:50 pm and is filed under Big Sur, Santa Lucias. You can follow any responses to this entry through the RSS 2.0 feed. You can leave a response, or trackback from your own site.